♥elycia: It's a bird, it's a plane, it's a...planet! It's a bird, it's a plane, it's a...planet! I love all things space. The universe totally blows my mind anytime I think about it. Back in the end of June/beginning of July I was driving home and I saw two really bright lights in the sky. They were way too bright to be stars so I was wondering what they were. I meant to look it up online when I got home but I forgot. I saw them again the next night and asked my friend if she knew what they were. 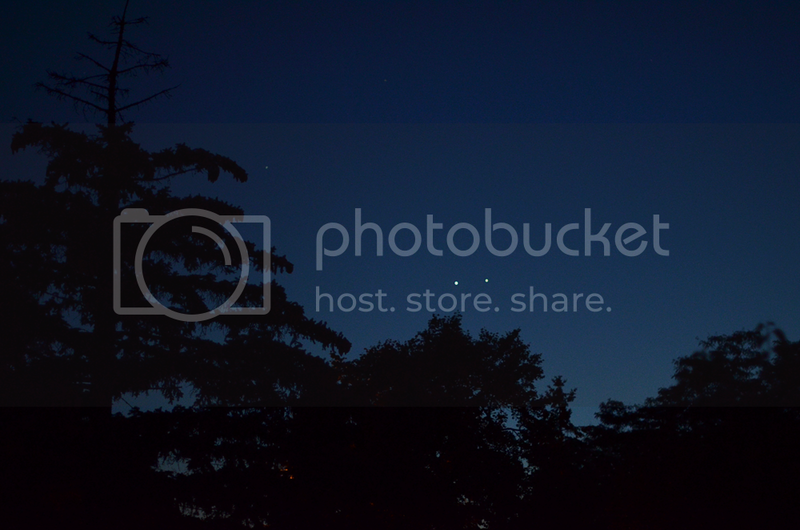 It was Venus and Jupiter! So cool! The next night I snapped a few photos. 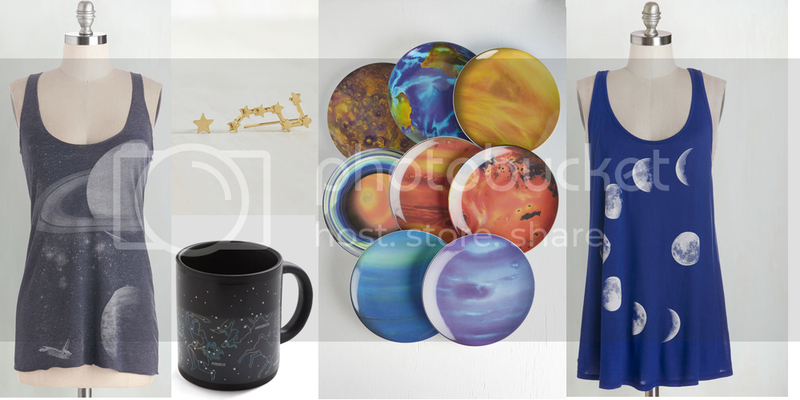 And, just for fun, here are some cool space themed items I wouldn't mind owning. I really miss online window shopping. That Never Phased top is gorgeous! oh my gosh, the earrings. I love space too! Before I had kids I used to lie around aimlessly on the grass staring into the infinite day (or night) sky. It feels so strange and overwhelming that you get lost in your thoughts. It's like you travel lightyears away in the blink of an eye. No wonder I studied Astrophycis. I miss it so damn much. -sigh- Now I work as an admin assistant for Transport Canada. I guess I can't complain, it's a good job. It's so cool that you got to see planets, I didn't pay attention. Oh how cool! Venus and Jupiter were visible here in Australia a few weeks ago too. I spotted them one night and watched them grow larger over the space of a few evenings and then fade into the distance. It was pretty magical.